Hello, travel friends … Val here. I’m writing this blog because the topic is right up my alley. Let’s face it. 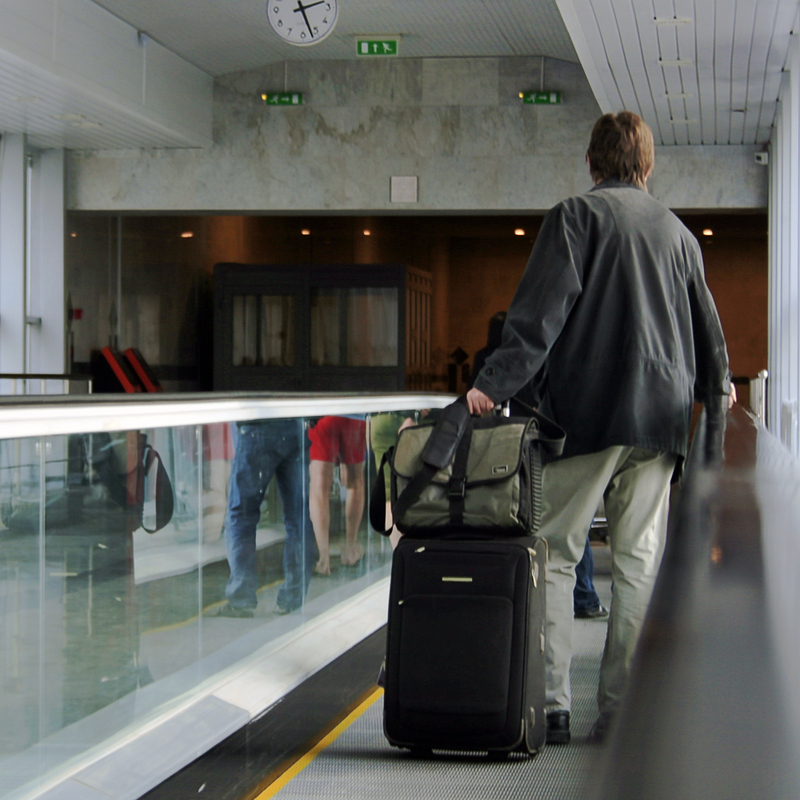 Traveling costs can add up and some airlines are notorious for having ridiculous fees for baggage – not saying any names, but I’m sure you’ve heard. I’m all about finding ways to shave a few dollars off your travel expenses, so I decided to share some tried-and-true tips to help you cut down on your baggage fees. It’s all about strategy and how you pack and they definitely work for me, so check them out! This works really well when two people are traveling. Say you and a friend are going on a weekend getaway and traveling on an airline that allows a free carry-on and the first checked bag is $25 each way. Rather than each of you checking one bag, consider consolidating your items and packing them into one large suitcase. You’ll be going to the same place, so you can just unpack and divvy up your items when you arrive. Split the cost of the checked bag between the two of you and all of a sudden your $50 roundtrip baggage fee per person becomes $25. Okay, so while this may not always be feasible or even desired, it’s worth considering when picking a travel destination. Places with warmer weather (think sunny California, most Caribbean destinations and the sweltering Las Vegas heat) don’t require heavier, bulkier clothing items like coats, sweaters and boots. Shorts, tanks, sundresses and bathing suits are much lighter and easier to fold and pack. They may even fit in your carry-on for short trips! If you’re anything like me, you always end up returning with more stuff than you left with. I’m often packing the night before a return flight wondering where in the hell all the extra stuff came from and why won’t my bag zip close? Between all the clothes and souvenir shopping, things can begin to accumulate. So why not plan ahead for this? If you know that you plan on visiting a shopping mall, local market or anywhere else where you may buy clothes, pack a few less outfits to cut down on baggage when departing. While your load will be less heavy, this can also equate to dollar savings if it cuts down on a checked bag, or you can consolidate bags (refer to Tip #1). Consider the type of destination you’re traveling to while packing. If you’re visiting a remote island or country where access to a local drugstore may be scarce or non-existent, then of course you’ll need to pack essential items and toiletries. Visiting mom and dad’s for the holiday? I think it’s safe to say they’ll have basic necessities such as soap, toothpaste and perhaps other non-essentials. So, leave yours at home! Cut down on your items and bags, too! Do you have any tips on how to pack smarter? 2 Girls Who Travel would love to hear about them. Leave them in the comments below!